Place the yoghurt, rice malt syrup and vanilla in a bowl and mix to combine. Place ½ cup (140g) of the yoghurt mixture, the raspberries and the extra rice malt syrup in a blender and blend until smooth. 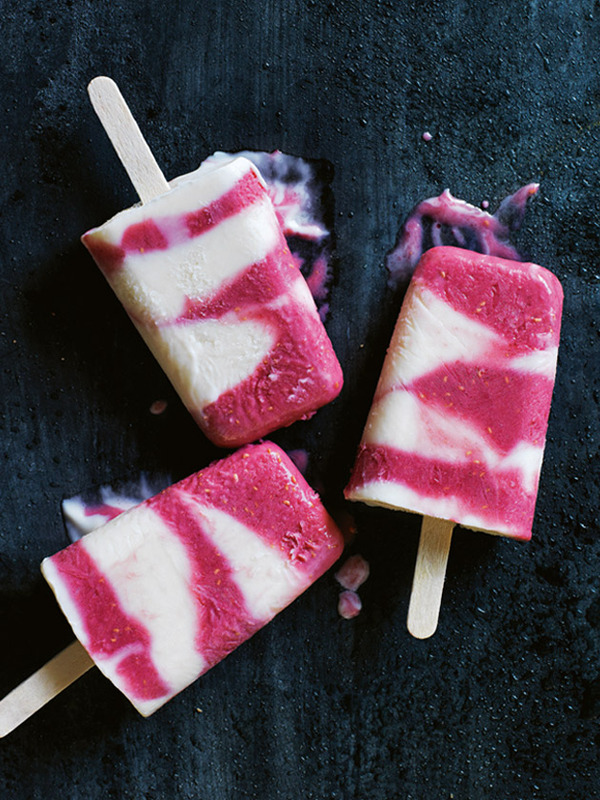 Layer alternate spoonfuls of the yoghurt and raspberry mixtures into 10 x ⅓-cup-capacity (80ml) popsicle moulds. Swirl gently using a butter knife, insert popsicle sticks and freeze for 4–5 hours or until firm. Remove the pops from the moulds to serve. Makes 10. + Rice malt syrup is from selected supermarkets and health food stores.